It is a requirement of your Agreement, that the goods are protected against Theft and Accidental Damage. We can arrange Theft & Accidental Damage Cover for £0.79 per week. It is a requirement that products purchased on a credit agreement are insured. We can offer Theft and Accidental Damage Cover for £0.79 per week. 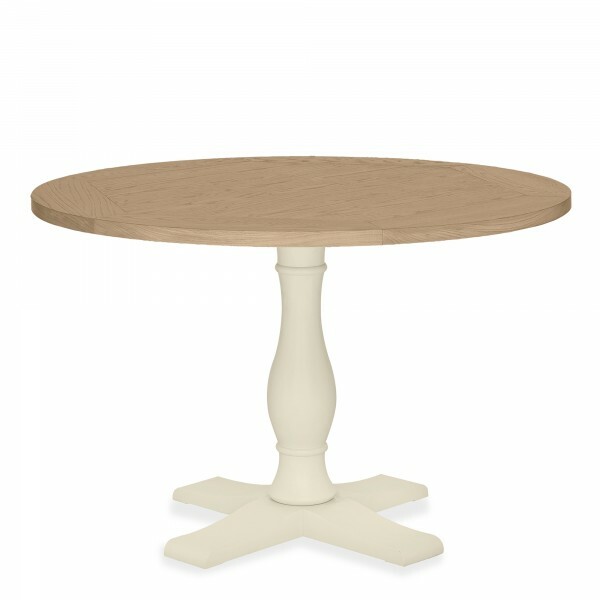 Beautifully crafted, this round table is perfect for a petite space. The Oak wood finishing on top and the cream leg contrast each other to create this grand piece. With a cross four base how could you resist.